Sta. 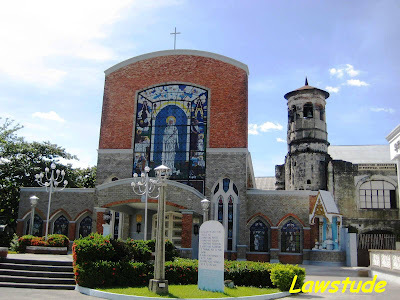 Monica Parish and St. Benedictine Convent are located in Mexico, Pampanga. The Church has been destroyed during the last world war and what remains now is just the Belfry Tower of the the former Augustinian-run church. Sta. 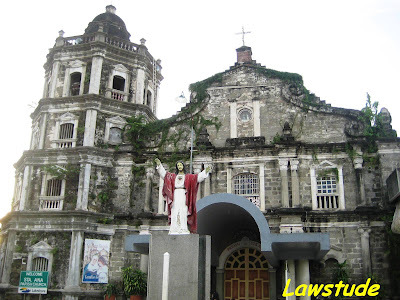 Ana Church, on the other hand is one of the oldest Church in the Philippines. It was built during Spanish rule three centuries ago. It is located in the Sta. Ana which is one of the smallest town of the province. I really wish that I have more time to visit some other Church in the province but I have an evening appointment that day so these two will have to do for now. Sta. Ana Church reminds me of our own centuries-old church in Capul, N. Samar. Beautiful churches, indeed. Interesting site! Keep on posting. Kung madadaan ka dito sa Tuguegarao minsan hanapin mo lang ako at ililibre kita ng Pancit. God bless. Beautiful churches! Reading these posts make me miss Pinas even more; wish I can go back there this year. Haay! @ panyero - hope to see that church someday. musta amerika? @ kyels - there is really nothing like home. have a nice day. Hello I am originally from Pampanga and just wanna ask when will be your next trip there? If it is not too much to ask , can you take pictures of St. Scholastica's in San Agustin and the SM and Robinson's in Pampanga? Thanks. Law, Virgo and Travel, that makes three coincidences already! Great blog with beautiful pictures. Loved to see! @ bernadette - thanx 4 d visit, i really do not know when i will be back there but ill take note of ur request when i go back. @ sidney - thanx. i really like traveling. and i guess more frequently now to make up for the lost times i spent in law school. @ gmg - thnk u. enjoy ur weekend too. @ panyero - click mo yung icon na may "A" tapos may lalabas sa baba na dalawa pa uli box/icon. click mo yung 2nd, then dalin mo yung cursor sa pic na lalagyan mo nung text. you cud try photoshop kaya lang dapat gawa ka muna logo then insert mo na lang yung logo sa pic tapos use the edit function para maging transparent yung logo mo. salamat sa comment and 4 adding me up..